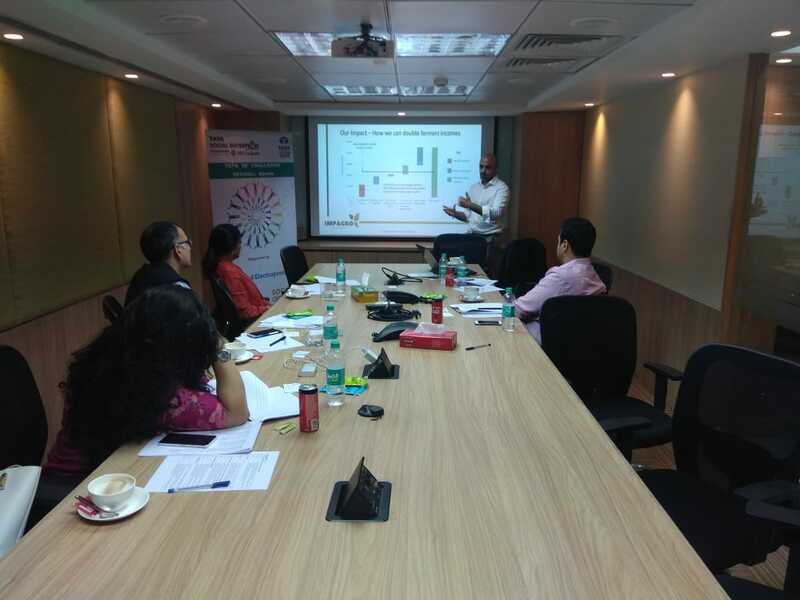 The Regional Rounds of the 7th edition of Tata Social Enterprise Challenge 2018 to find India’s most promising early-stage social innovators was held in the four cities of Kolkata, Bangalore, Delhi and Mumbai between 1-11 December, 2018. The events witnessed the participation of around 60 start-ups. 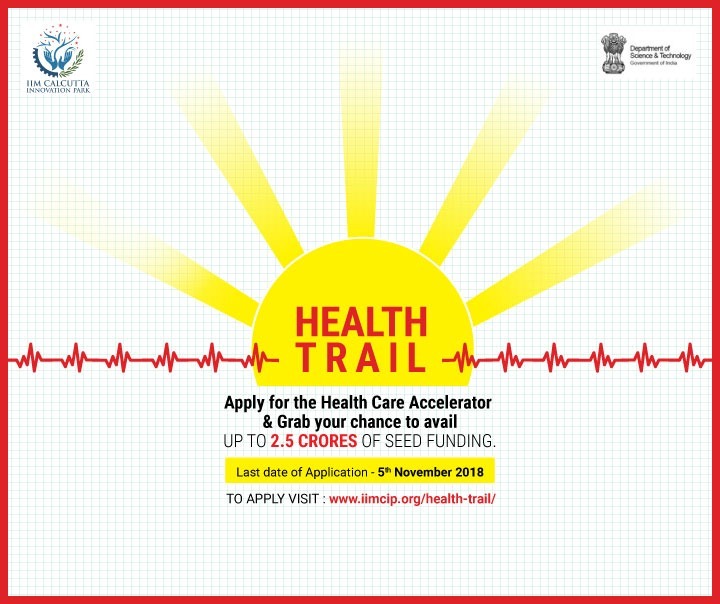 IIM Calcutta Innovation Park has launched Health Trail, an accelerator to foster start-ups endeavouring to offer innovative solutions to some of the largest health problems in our country, especially in the rural sector. 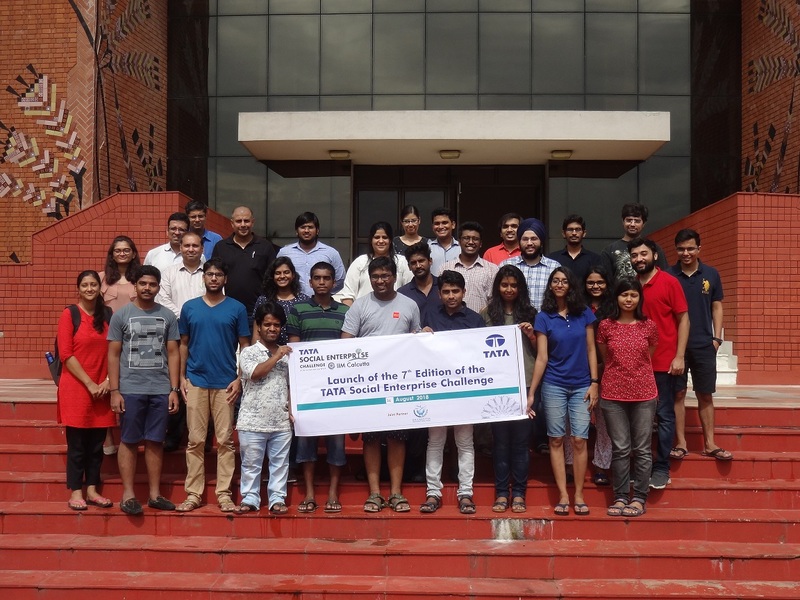 Tata Group in collaboration with the Indian Institute of Management (IIM Calcutta), announced the 7th edition of Tata Social Enterprise Challenge 2018 to find India’s most promising early-stage social innovators. Entrepreneurs can submit their business plans online, by logging onto www.tatasechallenge.org. The last day to submit the Impact Proposal (business plan) online is 3rd October, 2018. India has emerged as a powerful developing economy over the last 70 years. However, it continues to face some of the trickiest development challenges that require the combined might of youth, entrepreneurship and innovators to develop sustainable solutions. To bridge the gap and take India to the next level, the need of the hour is to come up with innovative solutions to the various socio-economic challenges thereby impacting lives of people at large. Government of India is actively encouraging Entrepreneurship development and is working closely with key stakeholders in the eco-system to develop multipronged strategies to energise youth to take entrepreneurship as their preferred choice through innovative programmes like Start-up India and Stand up India. Smartfifty (http://www.smartfifty.com/) is one of the biggest StartUp Hunt in India. It is an initiative aligned with the country’s focused approach to promote entrepreneurship leading to social development. In September 2017, IIMCIP in association with the DST, GoI launched a grand startup challenge called – Smart Fifty – to identify fifty smart ideas/solutions for India in the areas of Sustainability, Health Care, Agriculture, Smart Cities, Fintech, Analytics and Education. Smart Fifty is a major initiative to identify, recognize and reward aspiring and early-stage entrepreneurs and innovators aiming to create large scale positive change in India. The Hunt is aimed at strengthening the Hon’ble Prime Minister’s Startup India mission. We received an overwhelming response from across the country with over 15,000+ teams participating in the challenge. After several rounds of screening top 400 team got shortlisted across 4 regions in the country and undergone through another round of screening. The top 3000 teams got the opportunity to participate in the Regional Rounds day 1 held in Kolkata, Bangalore, Mumbai and Delhi. In the regional round –Day 2, top 400 teams pitched their idea to a panel of Jury members and subsequently top 50 teams were shorlisted. 10 teams from International rounds joined this 40 in the semi-final. 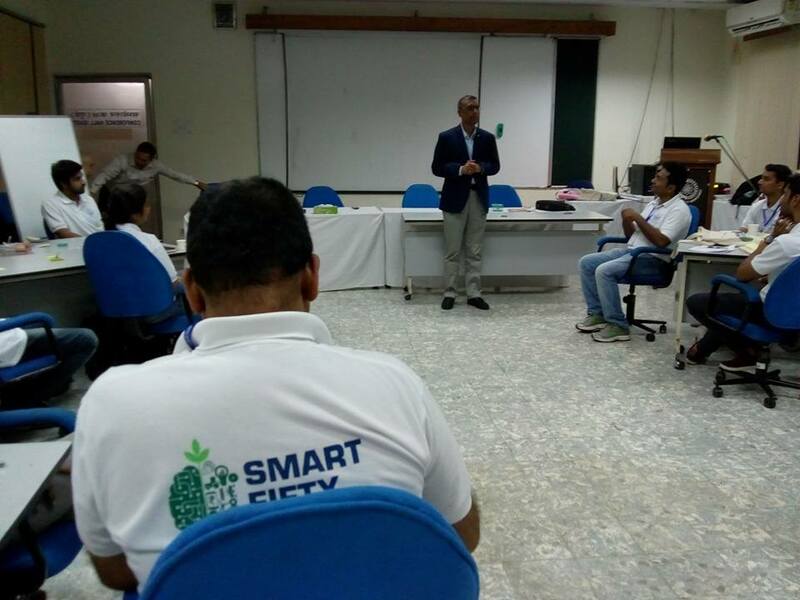 In the second phase of Smart Fifty was the StartUp Boot Camp, a four day program held at IIM Calcutta Campus from 19th – 22nd March , 2018. Top 50 teams were mentored at IIM Calcutta for a week and a Jury identified 10 investible ideas. Mentors conducted intensive sessions with the top 50 teams to help refine their business plans as well as sharpen their presentation skills. Post the semi-finals at IIMC 10 teams got selected for the grand finale which took place at the NDTV studio in Delhi on 25 March 2018.Top 50 teams got assured funding of Rs. 0.4 million each. Dr. N Venkatesh Prajna (Aravind Eyecare), Prof. Leena Chatterjee (IIMC ), Rohit Jain(Singhania Partners), Satya Narayanan(Career Launcher), Prof. Ashok Banerjee (IIMC) and many more. Discover how to evaluate business ideas, diagnose and solve business problems, and determine strategic growth opportunities. Gain a deeper understanding of market forces and competition, and how to think beyond market constraints. Develop the ability to scale up further, faster, and more effectively. Understand how to facilitate partnerships with key stakeholders. Acquire the leadership skills necessary for managing innovative organizations. 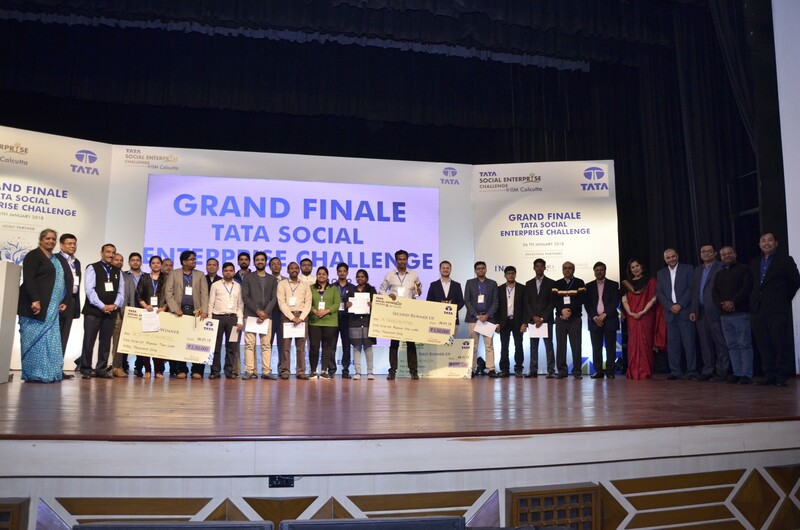 The winners of the Tata Social Enterprise Challenge 2017-18 (TSEC), a joint initiative of the Tata group and Indian Institute of Management Calcutta (IIMC), were announced during the grand finale held on January 6, 2018, at the IIM Calcutta campus. The challenge endeavours to find India’s most promising early-stage social enterprises, and create an ecosystem for social entrepreneurship – encouraging sustainable, scalable and measurable social impact. The Elbow Engineers from Chennai (Winner), Chakr Innovation from New Delhi (1st Runners-up) and JK Nanosolutions from Bangaluru (2nd Runners-up) emerged as the top three most promising social ventures, winning prize money of Rs. 2.5 lakhs, Rs. 2 lakhs and Rs. 1.50 lakhs, respectively. • Mentorship: The top 20 teams were selected for semi-finals and provided mentorship support for two weeks. • Funding Opportunity: All teams shortlisted for the semi-finals and finals get an opportunity to pitch to India’s largest social VCs for seed funding. • Incubation: The top 20 teams will get an opportunity to pitch for incubation at IIM Calcutta. • Cash Award: Total prize money of ₹6 lakh for the top three teams. The semi-finalists received travel grants. The Elbow Engineers, the winner of the challenge, is a Chennai-based startup that has developed a device to provide a comprehensive water generation solution. The device generates water by condensing water vapour from the atmosphere, it purifies the generated water through an Ultra Violet Light sterilizer providing clean drinking water at less than 84 paise per litre, and in the process cleans the air that we breathe of harmful substances. Chakr Innovation, which was announced as the first runners-up, is a New Delhi-based startup that has developed Chakr Shield, a device that can capture 90% of particulate matter emission from diesel generators. The device controls pollution without causing any adverse impact on the engine’s performance or the environment, and at the same time converts the collected particulate matter into raw material for inks and paints. JK Nanosolutions, the second runners-up, is a Bengaluru-based startup. It has developed a cost effective rapid solution for complete treatment of waste water and textile effluent using nanotechnology. By this method, 98 percent of treated water can be reused. Apart from the top 3 winning ventures, the 7 ventures that have made it to the top 10 finalists are, Bombay Bijlee, Villamart, Cerelia Nutritech, Manuring It!, Nanobios lab, IIT Bombay, Resnova Technologies and Sonant Technologies. The ventures were judged on three parameters – Business Model, Social Impact and Sustainability (For more details on the ventures, please refer to Annexure 1). The Tata Social Enterprise Challenge 2017-18 received over 500 proposals from across India, of which 205 met the eligibility criteria and qualified for the next round of the competition. These proposals covered several different areas such as agriculture; food and dairy; healthcare; water and sanitation; technology and development; education and skills development; housing; handicrafts; energy; and micro finance, among others.